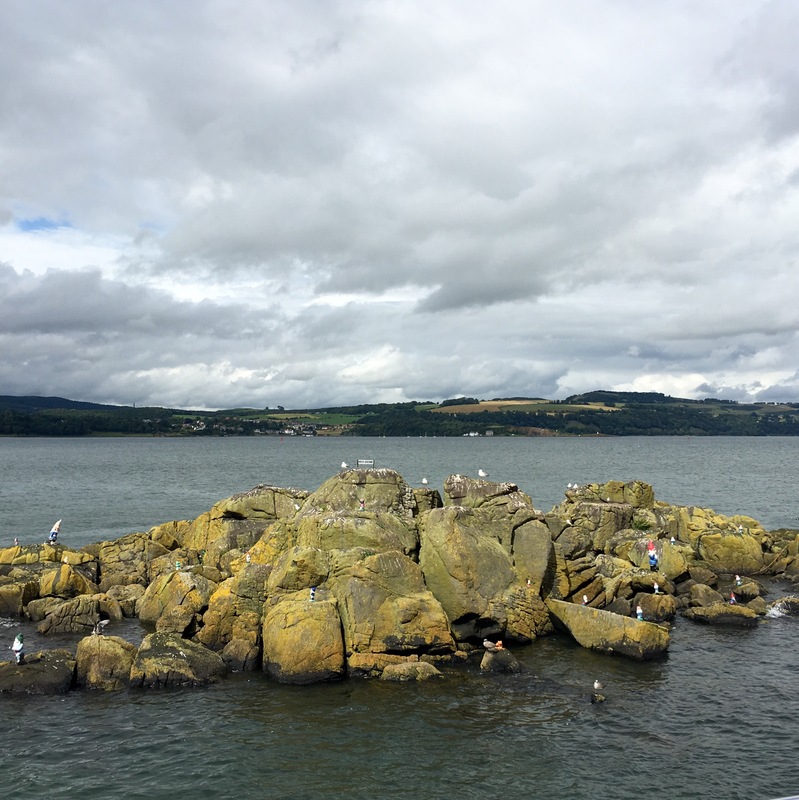 If you look to right end of rock “island” you’ll see a Gnome among the birds. 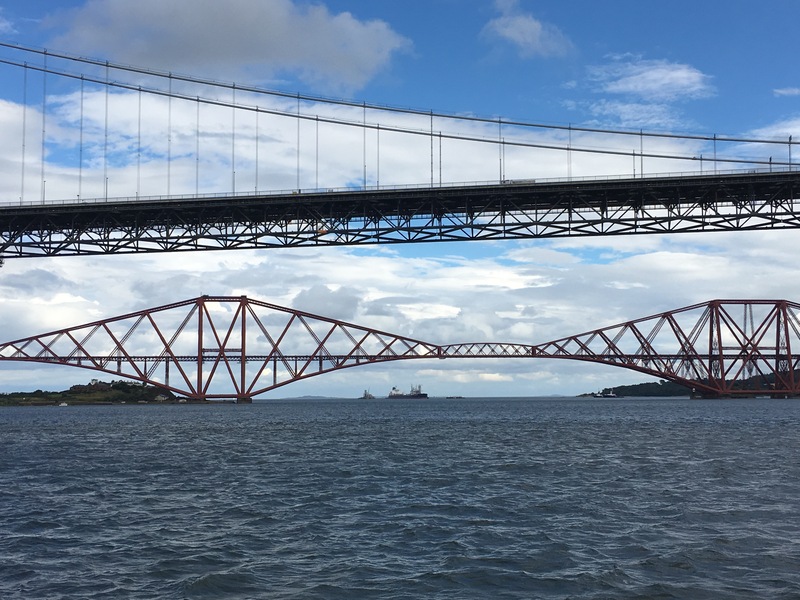 Two bridges across the Firth – red one is railroad bridge built 150 years ago, 4000 men worked on it, and 50+ lost their lives. A third bridge is being built now, the world’s longest suspension bridge, scheduled to be finished in 2017. 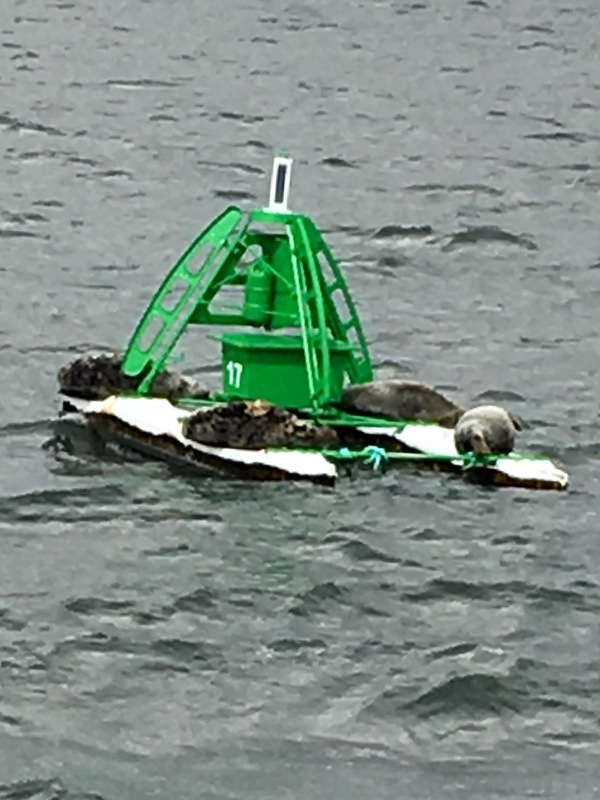 We also saw seals sunning on the buoys. 05 Aug	This entry was published on August 5, 2016 at 6:08 am and is filed under Uncategorized. Bookmark the permalink. Follow any comments here with the RSS feed for this post. Newer: More shops, splashes of color on a gloomy day!